With the holiday season upon us and the end of the year approaching, we pause to give thanks for our blessings and the people in our lives. It is also a time when charitable giving often comes to mind. The tax benefits associated with charitable giving could potentially enhance your ability to give and should be considered as part of your year-end tax planning. common for scam artists to impersonate charities using bogus websites and through contact involving emails, telephone, social media, and in-person solicitations. Check out the charity on the IRS website, irs.gov, using the Exempt Organizations Select Check search tool. And don't send cash; contribute by check or credit card. If you itemize deductions on your federal income tax return, you can generally deduct your gifts to qualified charities. However, the amount of your deduction may be limited to certain percentages of your adjusted gross income (AGI). For example, your deduction for gifts of cash to public charities is generally limited to 50% of your AGI for the year, and other gifts to charity may be limited to 30% or 20% of your AGI. Charitable deductions that exceed the AGI limits may generally be carried over and deducted over the next five years, subject to the income percentage limits in those years. Your overall itemized deductions may also be limited based on your AGI. Make sure you retain proper substantiation of your charitable contribution for your deduction. 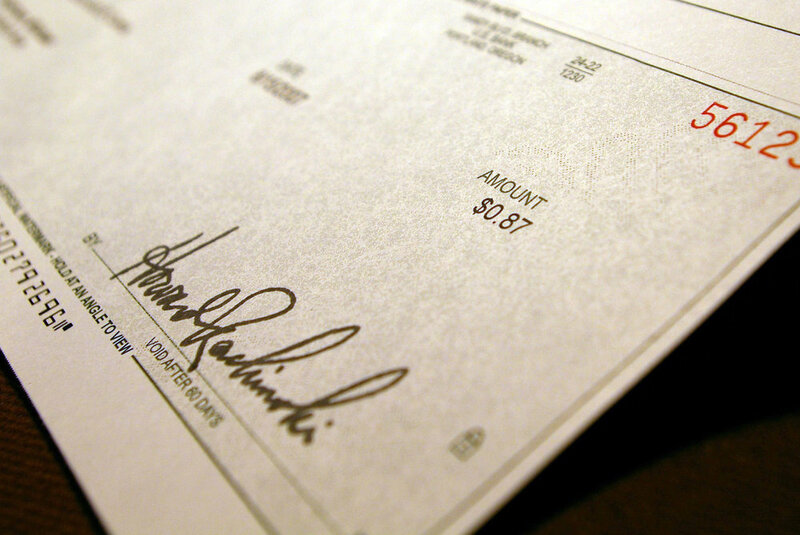 In order to claim a charitable deduction for any contribution of cash, a check, or other monetary gift, you must maintain a record of such contributions through a bank record (such as a cancelled check, a bank or credit union statement, or a credit card statement) or a written communication (such as a receipt or letter) from the charity showing the name of the charity, the date of the contribution, and the amount of the contribution. If you claim a charitable deduction for any contribution of $250 or more, you must substantiate the contribution with a contemporaneous written acknowledgment of the contribution from the charity. If you make any noncash contributions, there are additional requirements. deductions, into a year when your itemized deductions would be greater than the standard deduction amount. And if the income percentage limits above are a concern in one year, you might consider ways to shift income into that year or shift deductions out of that year, so that a larger charitable deduction is available for that year. A tax professional can help you evaluate your individual tax situation. Disclaimer: This commentary is provided for educational purposes only. The information, analysis and opinions expressed herein reflect our judgment as of the date of writing and are subject to change at any time without notice. They are not intended to constitute legal, tax, securities or investment advice or a recommended course of action in any given situation. All investments carry a certain risk and there is no assurance that an investment will provide positive performance over any period of time. Information obtained from third party resources are believed to be reliable but not guaranteed. Past performance is not indicative of future results. Investment Advisory Services offered through Asset Strategy Advisors, LLC (ASA), a SEC Registered Investment Advisor. Securities offered through Triad Advisors, LLC, a broker-dealer, Member FINRA/SIPC. Insurance offered through Charles River Financial Ins Agcy (CRFG). ASA, CRFG and Triad are separate companies. Congratulations! You've just landed a new job. Here are some important things to be aware of before you receive your first paycheck. When will I receive my paycheck? How often will you be paid? Typically, your payday will depend on the company you work for and which state you work in. You might be paid on a weekly, bi-weekly, bi-monthly, or monthly basis. Regardless of your employer's pay period, expect to receive your paycheck on your employer's set payday. Bear in mind that state law requires your employer to pay you in a timely manner. Employers cannot pay less often than required, but they are allowed to pay more frequently. You should expect to receive your money either by direct deposit or check. Direct deposit automatically puts your paycheck into your checking or savings account. This payment method is paperless, but you'll still have access to a printed or electronic statement that shows information similar to what is on a physical pay stub attached to a check. Your statement or pay stub will display important information relating to the money you've earned. You'll see the date of payment, the pay period dates, how many hours you've worked, wages earned (both before and after taxes), and any other deductions. Direct deposit may or may not be required by your employer, depending on which state you work in. You might find that the advantages of signing up for direct deposit, such as not having to worry about your check getting lost or stolen and accessing funds quickly, make it more favorable than receiving a physical paycheck. Think about which payment method works best for you and helps you the most in managing your money. What does the information on my pay stub mean? Whether you opt for a check or direct deposit, you'll receive a summary of tax information each pay period. You might be tempted to ignore this information, but you should understand what it means and why it's important. The following terms and acronyms commonly appear on pay stubs. If you know what the abbreviations stand for, you'll have an easier time decoding your statement. Gross Pay -- The amount of money you've earned during a given pay period before deductions and taxes. Net Pay -- Your total income after deductions and taxes are taken into account. Year to date (YTD) -- The amount of money you've earned since the first day of the calendar year. You may notice year-to-date information in both the deductions section and the pay section. Federal Income Tax (FIT, FT, FWT) -- Remember the W-4 form you had to fill out when you were hired by your employer? The information you provided on the W-4 is used to determine the amount that will be withheld from your paycheck for taxes. The more allowances you claim, the less money will be withheld. State Income Tax (ST, SWT) -- The amount of state income tax withheld from your paycheck, which will vary depending on where you live. Social Security Tax (SS, SSWT) -- Employers are required to withhold Social Security taxes from employees' paychecks. Medicare Tax (MWT, Med) -- The federal government requires your employer to withhold a certain amount of your paycheck to fund Medicare. Social Security and Medicare taxes are also known as Federal Insurance Contribution Act (FICA) taxes or payroll taxes. Your employer is required to withhold 6.2% of your gross income for Social Security taxes (up to a certain annual limit) and 1.45% for Medicare taxes. Your employer also matches these FICA taxes. What other information might appear on my pay stub or statement? Depending on the company and your employment status, you might notice some additional deductions appearing on your pay stub or statement. This may include pretax and after-tax deductions. Pretax deductions (such as for medical insurance and 401(k) or 403(b) retirement plan contributions) are taken out before taxes and reduce your taxable income. After-tax deductions (such as for Roth 401(k) contributions) don't affect your taxable income. Contact your human resources department for further explanations of the information on your pay stub or statement. If you think there is a miscalculation on your paycheck, don't hesitate to reach out to them. *Disclaimer: This commentary is provided for educational purposes only. The information, analysis and opinions expressed herein reflect our judgment as of the date of writing and are subject to change at any time without notice. They are not intended to constitute legal, tax, securities or investment advice or a recommended course of action in any given situation. All investments carry a certain risk and there is no assurance that an investment will provide positive performance over any period of time. Information obtained from third party resources are believed to be reliable but not guaranteed. Past performance is not indicative of future results. Investment Advisory Services offered through Asset Strategy Advisors, LLC (ASA), a SEC Registered Investment Advisor. Securities offered through Triad Advisors, LLC, a broker-dealer, Member FINRA/SIPC. Insurance offered through Charles River Financial Ins Agcy (CRFG). ASA, CRFG and Triad are separate companies. One of the biggest decisions many of our clients face is what to do with their 401k plan when they leave their employer. There is no clear cut answer as to whether you should roll over your 401k plan to an IRA, another employer’s 401k plan, or simply to leave it where it is, because it involves several different factors, including long term investment costs and the availability of investment options within the plans. Both can impact the long term performance of your retirement plan. However, the most critical factor that can have a big impact, both short and long term, are the tax implications of a rollover. Understanding these implications is essential before making any decision regarding your 401k plan. An indirect rollover occurs when you take a distribution from your 401k plan with the intent of rolling it into an IRA or a new 401k plan. With some exceptions, any distribution from 401k plan is subject to ordinary income taxes; and, if a distribution is made before age 59 ½, a 10 percent penalty may apply. If your intent is to roll your distribution from a 401k plan into an IRA, it must be done within a 60 day period to avoid the tax and penalty. It’s not uncommon for someone to take a distribution from a 401k plan with the intent of rolling it over into another plan and miss the deadline. The big tax complication comes when the plan sponsor, as they are required to do, withholds 20 percent of your distributions for tax purposes regardless of your intent to roll it over into an IRA. As a result, you would then be rolling just 80 percent of your funds into the new plan. Even though you would eventually get it back through an IRS refund, the other 20 percent that is withheld must be made up by you within the 60 day time limit in order to avoid the tax and penalty on the entire distribution. To avoid this possibility, the better course, might be to ask your new custodian (for an IRA) or plan sponsor (for a new 401k plan), to initiate a direct transfer of the funds from the old plan into the new plan. Depending on your income level and tax circumstances, you may decide to roll your 401k plan into a Roth IRA. With a Roth IRA your funds grow tax free and they can be withdrawn tax free. That’s because a Roth IRA takes only before-tax dollars as contributions. So, when you transfer 401k funds into a Roth IRA, you must first pay the taxes on the distribution to the extent of the amount being rolled over less any after-tax contributions included in the amount being rolled over. But once your funds are inside the Roth IRA you will enjoy both tax free accumulation and tax-free withdrawals. If your 401k plan includes company stock, you should consider the tax implications of rolling it into an IRA or transferring instead to a non-qualified brokerage account. Here’s why: When you distribute assets (money or stock) from your IRA, you pay income taxes on the portion comprised of pre-tax contributions. When company stock is issued to 401k plan, the difference between its value at that time and the time it is distributed is referred to as “net unrealized appreciation.” That means that stock assets which have appreciated will be taxed as ordinary income instead of at the more favorable capital gains tax rate. If, instead, you were to withdraw your company stock from your 401k and place it in a taxable brokerage account, you can still benefit from capital gains taxation versus ordinary income taxation on the appreciation. You will be required to pay the ordinary income taxes on the original pre-tax value of the stock, but your capital gains tax is deferred until you actually sell the stock. Net unrealized appreciation is a complicated provision of the tax code and should only be considered with the guidance of a tax professional. If you foresee yourself retiring early, you may not want to roll over your entire 401k plan to an IRA. With a 401k plan, you can begin taking withdrawals as early as age 55 without penalty. If you roll your funds into an IRA, you will lose that option; although the IRA does allow for the Substantially Equal Periodic Payment rule, a somewhat complicated formula for withdrawing funds prior to age 59 ½. Deciding what to do with your 401k plan after leaving an employer must take into consideration many factors – your current circumstances, your personal financial outlook for the future and the tax consequences of any of the options you may choose. You should always consult with a tax advisor to determine both the tax consequences and the benefits of an IRA Rollover. In the realm of financial planning, time is our most valuable asset. It’s available to all of us, providing each individual with the same opportunity to optimize its value in building wealth It’s the only resource we all have over which we have some degree of control. However, it is a wasting resource if it is not optimally utilized. Each day that passes, without some contribution of money, either in savings or interest, the cost of our financial goals increases. As time marches on, the obstacles to achieving goals of any time horizon become increasingly insurmountable. The cost of waiting is best illustrated with a comparison of two savers – John and Karen. John invests $20,000 per year from age 25 to 45, before he stops making any more contributions to his retirement plan. Karen doesn’t invest from age 25 to 45, but then contributes $20,000 per year from age 45 to 65. Assuming an investment return of 6%, by age 65, John would have $2,500,000, whereas Karen would only have $790,000! Inflation is one of time’s worst enemies. The longer the time horizon, the longer inflation can eat away at the true value of money. At a normal inflation rate of 3%, the value of money is cut in half after 23 years. The cost of financial goals must incorporate the cost of inflation when calculating how much savings will be required to achieve them. With enough time to allow your earnings on savings to compound, your savings growth will have a much greater capacity to match or exceed the rate of inflation. Taxes are the one certainty of life that can obstruct your progress towards reaching your goals. The good news is that, with the proper planning, and the use of the right tools, they can be minimized to reduce their impact. Consider the effect on your long-term savings (aided by the time value of money) when you can convert tax dollars into savings dollars. Yes, life happens, and very rarely in the way we anticipate, which is why financial goals must be defined, calculated, measured and reviewed frequently so that the necessary adjustments can be made to keep you on the right road when life throws you a curve. Time gives us the ability to assess, adjust, and get back on track. The number of people approaching retirement unprepared and underfunded is increasing at an alarming rate. And, while many will point to stock market or real estate crashes, or the unexpected, or some other reason they couldn’t save enough, you can bet that procrastination and the misunderstanding of time as an asset was a key element in their failure.